Would glass partitions benefit my workspace? Glass partitions are a stylish solution to modern office design. And with a multitude of design options available, there’s a style to suit every taste and budget. Measuring up for glass cut to size can be a simple and painless process if you do it right. Follow Tufwell’s top tips to find out how. Thanks to modern fire glass manufacturing processes, there is now a wealth of choice when it comes to fire-rated glass doors. Read on to find out about the available options. How could laminated glass reduce noise in my office? Laminated glass is known for its use as a safety glass, but did you know it can also be effective for cutting noise levels? Find out how in Tufwell Glass’s blog. Heat soaking can cut the risk of toughened glass spontaneously shattering by 95%. But when is it worth paying the extra for heat soaking? Find out in our blog. When it comes to choosing a glass door, what should you look for? Find out in Tufwell Glass’s easy guide. 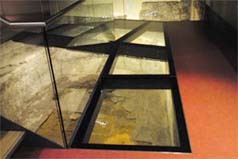 Is laminated or toughened glass better for my project? Laminated glass and toughened glass are both widely-used types of safety glass, but which one is right for your project? Find out in our blog. Accidents can and do happen and glass furniture, by its nature, can sometimes be smashed or scratched. 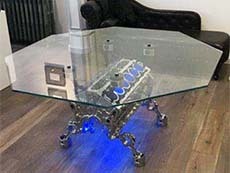 But in the case of a glass table top, there’s no need to throw away the whole piece of furniture – why not simply get a new piece of toughened glass cut to size? Read our blog to find out everything you need to know about ordering toughened glass cut to size. Laminated glass is a type of safety glass that is used extensively around the world for a wide range of applications. 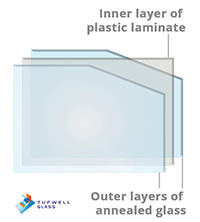 Created by sandwiching two or more sheets of standard annealed glass together around layers of transparent plastic laminate, if the outer layers of laminated glass are broken, the inner layer will hold the glass firmly in place, making for a much safer product. When it comes to protecting your property and, more importantly, protecting human life, you want to make sure you aren’t cutting any corners. 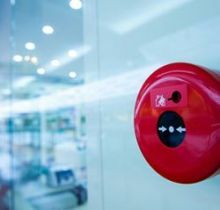 You need to have confidence that, should the worst ever happen and your property is hit by fire, you have the best possible defences to allow you time to get out of the building and to slow down the spread of the fire as much as possible. 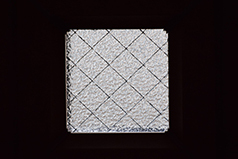 Fire glass is an important element of any building’s integrated fire safety strategy. What are the benefits of glass partitions in an office? Anyone who has worked in a large office knows there’s nothing worse than spending all day in a dark and dingy space with no natural light. But short of moving your entire workforce into the car park, what can you do to improve their working environment? Glass partitions could be the simple, affordable and very effective solution. If you’re looking to fit out your bathroom, or even just spruce up your existing one, a bespoke glass shower screen could be just the finishing touch you need to give your room the wow factor. What are the benefits of using toughened glass? Toughened glass, also known as tempered glass, is one of the most widely used glass products in the world. Car windscreens, glass partitions, oven doors, glass doors and countless other products are manufactured using toughened glass. But what is it that makes toughened glass so valuable to the construction and manufacturing industry?